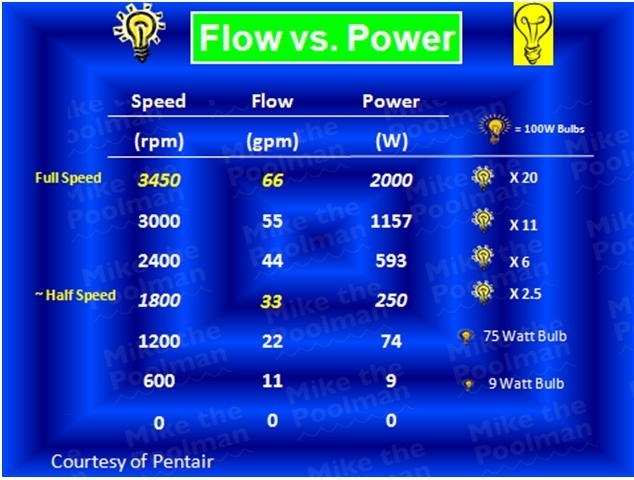 Why consider Mike the Poolman for your pump installation ? We offer variable speed pool pump installation in Folsom, El Dorado Hills, Orangevale, Fair Oaks, Granite Bay and Cameron Park . 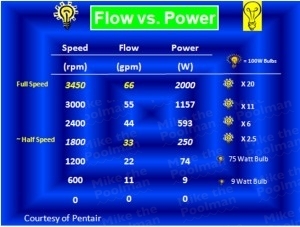 Why have variable speed pool pumps become so popular? d) they are required by California law. While often underrated, a pool pump is the most important part of your swimming pool. It can labor to keep the pool circulating, pulling water from the skimmer & main drain, then pushing water into the filter and through the heater (and up to the roof if you have solar) and finally sending it back through the pool returns to circulate chemicals, keeping the water safe to swim in. The pump essentially runs the pool, so when your pool pump is running ineffectively or not at all, it can take your pool from relaxing to stressful. Not only can an inefficient or failed pool pump keep you out of the pool, it can cost you money. When your pool filter pump fails, consider a variable speed pool pump. 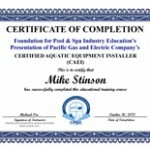 Along with Title 20 regulations, Mike the Poolman is helping to raise the bar on pool pump installations. The legislature mandates that energy efficient standards are met for all new residential pool pumps and all pool pumps needing motor replacement. We can help you meet these standards as well as help you receive valuable rebates from SMUD & PG&E. Contact me by email above to set up an evaluation and I will promptly reply. Also, variable speed pumps have built in freeze control so you never have to worry about being away during a freeze. And, which pump do I have on my swimming pool? A Sta-Rite Intellipro variable speed pump! Detailed brochures: Pentair / Sta-Rite. Variable speed pool pumps are the first to use exclusive permanent magnet motor technology. This provides typical “base savings” of 30% over pumps with traditional induction motors. Base savings only compares a permanent magnetic motor to an induction motor running at 3,450rpm for the same number of hours. It does not consider the additional savings gained by reducing the rpm’s with the use of variable speed technology. These special pumps include a variable speed capability, along with digital controls and proprietary software that allow custom programming for optimum pump speeds for specific tasks. 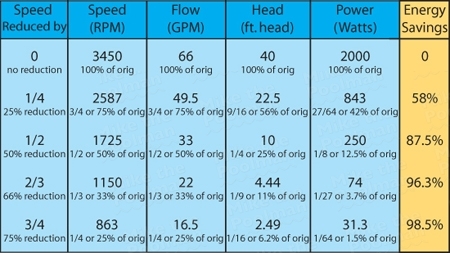 Different speeds can be set for filtering, heating, cleaning, spa jets and waterfalls. There are eight individual, adjustable speed settings at your command. Optimizing the speed takes advantage of the Pump Affinity Law, slow down the pump and you can cut energy use dramatically. Here are realistic estimates of annual savings when comparing a traditional energy efficient (EE) single-speed, 2 horsepower pump to IntelliFlo in a 20,000 gallon pool. Savings are calculated using common run times of 6 and 12 hours. At $0.15/kWh estimated savings range from $620 to $1,360 per year. At $0.20/kWh estimated savings range from $825 to $1,810 per year. At $0.30/kWh estimated savings range from $1,240 to $2,710 per year. Savings may vary based on hydraulic conditions, pump models, etc., however, as you can see, the savings with IntelliFlo can be dramatic and the return on investment almost immediate. Over the long life of the pump, savings can reach thousands of dollars and kilowatt hours. If this seems overwhelming don’t worry, that’s why I’m here, to help you determine what works best for your pool and budget. Just send me an email and we can talk.